This name might sound fancy, but pepitas are simply pumpkin seeds! Pepitas (which mean “little seeds of squash” in Spanish) don’t have a shell and are found in only select pumpkin varieties. I love the idea of using seeds to make a crust rather than glutinous bread crumbs. When you’re looking for that “Wow” factor, this dish will do it. I wanted something special, so I called upon chef Amber Thiel who served this at one of the oceanfront dinners during the Beautifully Flawed Retreat. When buying fish, I try to buy as fresh and responsibly sourced as possible. In Hawaii it’s hard to get fresh salmon, so I usually buy sustainably caught Alaskan salmon, frozen. I choose to buy salmon that has been wild caught, rather than farm raised. And I make salmon more of a treat for us – like 1-2 times a month. The bottom line: Buy Wild Salmon if possible. If farmed salmon is your only choice, it would be good to find a reputable, responsible, and sustainably-raised source. Finely chop pepitas and combine with rest of dry ingredients. Brush salmon lightly with avocado oil. Press mixture onto salmon. Bake on cookie sheet in oven until salmon flakes easily – about 12 minutes at 425 degrees F. Can also grill at 400 degrees for about 15 minutes. Inspired to try?! 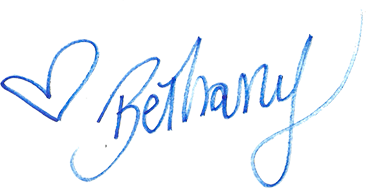 Please post your pictures at #bethanystylehealth – I want to see how yours turned out! What sides did you pair with this recipe? What event did you serve this at? Or did you make it on a weeknight at home? Tell me everything!